Compass Made, a California-based contract manufacturing company, launched a complete corporate rebrand that included new dba name, logo and redesigned website. 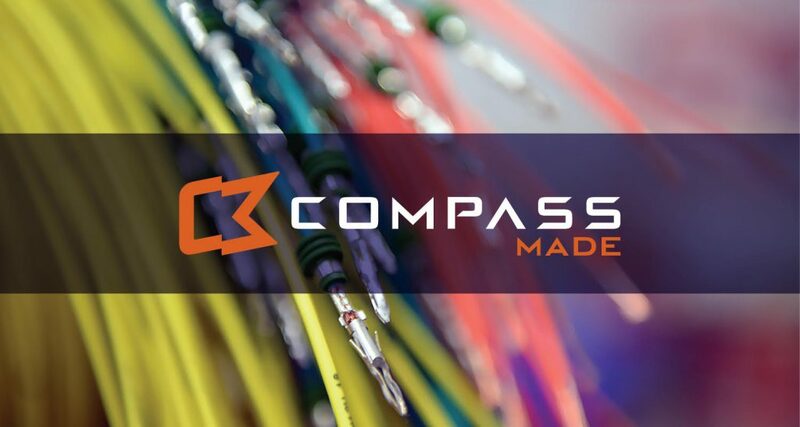 Since 1979, Jack Maxwell has serviced companies throughout the United States as an electronic component distributor under the name Compass Components, Inc. As client demand evolved into cable, wire, and harness manufacturing, Maxwell created the new dba Compass Manufacturing Services. The manufacturing arm of the company is changing its dba to Compass Made to reflect its ongoing growth and market concentration. Compass Components, Inc. remains the parent company. Compass Made is a leading services provider to a wide number of industries, including transportation, semiconductor, industrial, entertainment, and energy. The company’s capabilities include Harness Assemblies, Cable Assemblies, and Electromechanical. The new Compass Made logo was designed to position the company towards the future and to stand out from its competition. The company’s new website is easy-to-navigate, responsive, and informative. Compass Made plans to provide expertise and project stories through an active content and social media marketing campaign.